China is covertly working with North Koreans to modernize Egypt’s short-range missile systems, raising new concerns among United States intelligence officials about the arms programs of the Muslim Brotherhood-affiliated government in Egypt. A group of technicians from China’s premier missile manufacturer that was previously sanctioned by the U.S. government for illicit arms transfers are working in Egypt with North Koreans to modernize Cairo’s Scud missile force. According to U.S. intelligence officials, reports of the missile technicians from the Beijing-based China Precision Machinery Import-Export Corp. (CPMIEC) are raising new concerns about U.S. plans to sell arms to the government of Egyptian President Mohamed Morsi. The missile activities were detected in connection with Egypt’s Sakr Factory, the main missile production facility that makes Egypt’s Scud-Bs and extended-range Scud Cs. An Egyptian military official had no immediate comment on the missile support from China and North Korea. A State Department spokesman declined to comment. New intelligence about the Chinese-North Korean missile cooperation follow previous intelligence reports from November that North Korea was planning to ship Scud missile components to Egypt. That cooperation was first reported by the Washington Free Beacon. United Nations sanctions imposed on North Korea for its nuclear and long-range missile tests prohibit U.N. members from purchasing such North Korean military assistance. Sen. James Inhofe (R., Okla.), ranking Republican on the Senate Armed Services Committee, said last week that he is opposed to sending advanced U.S. jets to Egypt. Inhofe asked President Barack Obama in a letter to delay sending additional F16s to Egypt until Congress can review the sale. A $1.5 billion arms package was approved for Egypt under the former regime of Egyptian President Hosni Mubarak, including 20 F-16s and coproduction of M1A1 tanks. Other significant military sales being considered include the transfer of U.S. military transports. "The recent transfer of four F-16 Block 52 fighter jets to Egyptian Armed Forces is troubling, and future deliveries of the remaining 16 jets scheduled to be completed by the end of 2013 should be delayed until Congress has had time to review further this foreign military sale," Inhofe stated in a letter sent Friday. The senator is concerned about conditions in Egypt, which have changed significantly since the sale was first approved. "Under Muslim Brotherhood President Morsi, there has been constant instability, and the systematic exclusion and silencing of all official minority political opposition," Inhofe said. "This has resulted in massive street protests, and the passage of a new constitution that has been widely criticized as lacking any protection of minority political or religious rights." Egypt’s government also has made anti-Semitic and anti-Israel statements in recent months, raising concerns Cairo will uphold commitments under the Camp David peace accords that has kept peace between Egypt and Israel for four decades, he said. The State Department told Sen. Inhofe Jan. 8 in a letter that "Egypt is a strategic partner with whom we have a long history of close political-military relations that have benefited U.S. interests." According to the department’s legislative affairs official David S. Adams, Morsi has affirmed Egypt’s commitment to international agreements, including the peace treaty with Israel. "Delaying or canceling deliveries of the F-16 aircraft would undermine our efforts to address our regional security interests through a more capable Egyptian military, and send a damaging and lasting signal to Egypt’s civilian and military leadership as we work toward a democratic transition in this key Middle Eastern state," Adams said in denying Inhofe’s request to delay F-16 deliveries. However, a U.S. official familiar with intelligence reports of the Chinese-North Korean missile cooperation said the ballistic missile upgrade program is raising concerns about Egypt’s plan for a possible future conflict with Israel. "Who are they planning to use those ballistic missiles against and what threat does Egypt face that would require ballistic missiles?" the official asked. U.S. intelligence agencies have identified long-standing missile cooperation between Egypt and North Korea and, to a lesser extent, with China. A 2001 CIA report to Congress on arms proliferation stated "Egypt continued its long-standing relationship with North Korea on ballistic missiles." "Cairo continues to maintain a deployed force of Scud Bs and Cs," the report said. "Egypt's [advanced conventional weapons] acquisition is aimed at modernizing its Soviet-era equipment and acquiring newer, mostly U.S. weapons." The role of CPMIEC is a new element of the missile program, however. The U.S. government sanctioned CPMIEC in the past for its illicit missile sales. "China Precision Machinery Import-Export has been the main agent of proliferation for the PRC government and China's defense industries for decades," said Larry Wortzel, a former military intelligence specialist on China. "Today it executes the transfer of missiles, missile-related equipment, and knowhow for the General Armaments Department of the PLA. If there is a ‘serial proliferator’ in China, it is the PLA and CPMIEC." The company was first sanctioned by the U.S. government in 1991 for selling short-range ballistic missiles to Pakistan as part of a deal for M-11 missiles signed in 1988. CPMIEC was sanctioned in 2002 for missile sales to Iran, under the Iran Nonproliferation Act. CPMIEC was sanctioned again in 2003 by the State Department under a 1994 Executive Order aimed at halting the spread of weapons of mass destruction and missile delivery systems. The U.S. sanctions were largely symbolic and were never fully enforced, according to the Wisconsin Project on Nuclear Arms Control, a group that monitors arms proliferation. "Lax enforcement of U.S. sanctions is allowing Chinese companies to continue to ship goods to the United States even after being hit with an import ban for proliferation to Iran," said the project’s Matthew Godsey in a 2009 report. CPMIEC also provided missiles to Libya’s Moammar Gadhafi in the late 1990s. U.S. military intelligence found caches of Chinese weapons supplied to Iran and re-transferred to the Taliban in 2001. Included in those arms were QW-1 shoulder-fired anti-aircraft missiles made by CPMIEC. U.S. officials said the Scud part of the shipment was under negotiation in November and represented the first missile sale to the Egyptian government since the ouster of the Mubarak regime and the election of the Muslim Brotherhood government of Morsi. The Scud components were to be transported by air from North Korea through China. Richard Fisher, a China military affairs specialist, said the CPMIEC-North Korean partnership needs to be watched carefully and could be related to efforts by Egypt’s military to improve the lethality of their missiles against sophisticated Israel missile defenses. 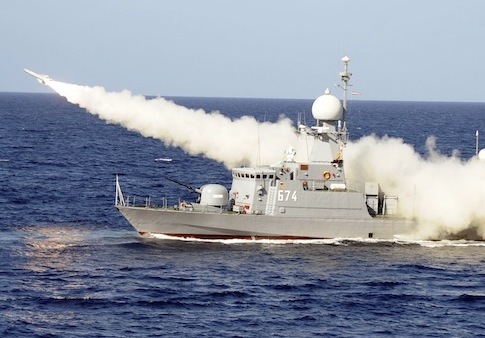 Fisher said future CPMIEC contributions could include guidance systems for Egypt's Scuds, like the optical guidance systems used by Iran's Fateh short range ballistic missiles to target ships. "The effectiveness of Israeli missile defenses should spark significant Egyptian demand for ways to increase the accuracy of their fewer missiles that may reach their targets," Fisher said. "I suspect this is where CPMIEC is making its most significant contribution." Fisher said a significant interest group in Israel has supported a strategic relationship with China, including arms sales, as a way to prevent China from selling better weapons to Israel’s enemies. "During the Cold War, this relationship was encouraged by Washington to help modernize the PLA versus the Soviet Union, but after Tiananmen and the fall of the Soviet Communist Party, U.S. support correctly waned." Israel continued to seek closer defense ties to China until pressure from the Bill Clinton and George W. Bush administration limited the flow of military technology from Israel to China. "But it should be clear by now that China will play all sides in the Middle East; Beijing has no interest in advancing Israel's survival," Fisher said. "In fact, through its proliferation of missile and nuclear technology to Iran, it has hastened a potential nuclear holocaust." Fisher warned that Egyptian-North Korean Scud cooperation might now be focusing on Pyongyang helping the Egyptians by selling them more advanced medium or intermediate range missiles. This entry was posted in Politics and tagged China, Egypt, Middle East, Missile Defense, North Korea. Bookmark the permalink.